NEWARK, N.J. NBA Commissioner David Stern scolded Gov. Christie and said New Jersey "has no idea what it's doing" by seeking to allow sports betting in the state in a deposition published Friday in the ongoing legal battle between the governor, the four major professional sports leagues and the NCAA. Stern and the heads of Major League Baseball, the NFL, the NHL and the NCAA were questioned recently by lawyers representing the state as part of the leagues' lawsuit seeking to stop New Jersey from instituting sports gambling. "The one thing I'm certain of is New Jersey has no idea what it's doing and doesn't care because all it's interested in is making a buck or two, and they don't care that it's at our potential loss," Stern said when asked how the advent of sports betting in New Jersey would harm the NBA. "And wholly apart from the fact that a governor, who's a former U.S. Attorney, has chosen to attack a federal law which causes me pause for completely different reasons since I've at times sworn to similar oaths about upholding the law of the United States," Stern continued. MLB commissioner Bud Selig said in his deposition he was "appalled" that New Jersey would look to sports gambling as a fiscal solution. "I know states need money. I really mean that," he said. "I understand all the problems. Federal government needs money, going over a cliff, cities need money. Chris Christie needs money. But gambling is so ... the threat of gambling and to create more threat is to me  I'm stunned. I know that people need sources of revenue, but you can't  this is corruption in my opinion. "I have to say to you I'm appalled. I'm really appalled." A spokesman for Christie didn't immediately return a message seeking comment Friday. 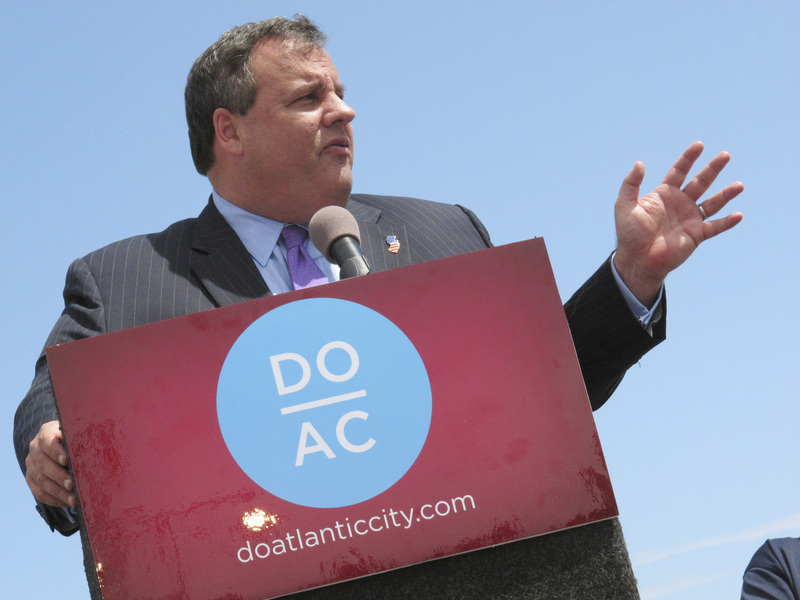 The leagues and the NCAA sued Christie in August after he vowed to defy a federal ban on sports wagering. The Legislature enacted a sports betting law in January, limiting bets to the Atlantic City casinos and the state's horse racing tracks. The state plans to license sports betting as soon as January, and in October published regulations governing licenses. A judge is expected to rule this month on the leagues' motion for an injunction to stop the law from taking effect. In his deposition, NFL Commissioner Roger Goodell was asked about holding games in England and Canada, countries with legalized sports gambling. The leagues contend allowing New Jersey to sanction sports gambling would damage their integrity. "Well, we're playing in their country, we're coming to them," Goodell responded. "And we're only there for a short period of time; we're there for two or three days. It's not what we choose, it's not what we believe is in the best interests of sports, but we don't dictate the rules or the laws." NHL commissioner Gary Bettman said the fact that New Jersey's law exempts the state's colleges and any college games played in the state shows that lawmakers recognize gambling "isn't good for our game." He sounded confident when asked if the NHL had contemplated any changes to its policies should New Jersey's law stand. "Not to sound flip on this point but it's inconceivable to me how we could lose this lawsuit, so we haven't been doing that," he said. New Jersey's move is seen by supporters as a way to bring new revenue to the struggling casino and racing industries and to reclaim a portion of the billions of untaxed dollars flowing to organized crime or offshore illegal gambling operations. But in its court filing Friday opposing the state's motion to dismiss the lawsuit, the leagues and the NCAA called Christie's efforts a "blatant violation of federal law" and his constitutional challenges to the federal law "specious." The 20-year-old federal law at the heart of the dispute, the Professional and Amateur Sports Protection Act, prohibited states from authorizing sports gambling, but exempted Nevada and three other states that already had some form of legalized sports betting  Delaware, Oregon and Montana. New Jersey claims the law usurps the authority of state legislatures and discriminates by "grandfathering" in some states. The leagues countered Friday that Congress has the power to prevent states from enacting laws that conflict with federal policy, and that the Constitution's commerce clause doesn't require uniformity in its application to different states. The NCAA has already announced it will relocate several championship events scheduled to be held in New Jersey next year.